Get to know the Grayline Sisters and their world! To celebrate the impending arrival of Book #2, here’s a quick Q&A. What’s the backstory, here? This story takes place about 300 years in the future, after most people took off from an Earth they’d been told was absolutely doomed for the Family Ternary System. There are three stars in this system, Father, Mother, and Daughter, with a single habitable planet orbiting each. Charming, Earth-like Adastre orbits Father; huge, heavy-gravity Nea orbits Mother; and tidal-locked (one side always facing the star) Haven orbits Daughter. Who are the Grayline sisters? There are three of them, Marta, Violet, and Elizabeth (Beth). Marta is the oldest, Violet the middle, and Beth the youngest. They live in the city of Muller-Darvan, in the deeply religious and conservative country of Gideon, on Nea. Sullen Marta is a space pilot who ran away from her country’s restriction and sexism when she was 18, willful Violet wants to get married and take her place as a Gideon Mother, while all dreamy Beth wants is to go to the stars and find the voices that have been calling her since childhood. That’s how they start out, anyway. Are there aliens in this? You bet there are. The Abrax are a shape-shifting, mostly-energy species of alien who, uh, “encouraged” humanity to leave Earth 300 years ago. They tend to form deep connections with those rare humans who can mentally communicate with them. What’s their deal? That’s a secret. Okay, okay. So can I read THE SEEKER STAR if I didn’t read THE DAUGHTER STAR? Yes! Most of what happened in DAUGHTER STAR does get recapped and explained. There are some references you might miss and a few characters who showed up in DAUGHTER STAR do return, but otherwise it should be fine. Anything else I should know? Hmm. Ah, I know! This is a trilogy, and each book follows the adventures of one of the three sisters. 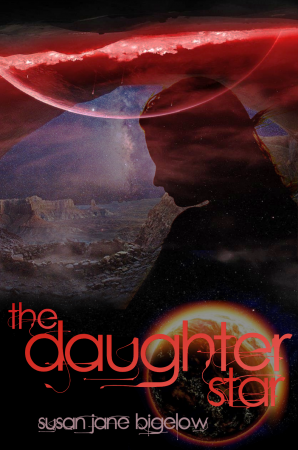 The first book, THE DAUGHTER STAR, was all about Marta, the current book, THE SEEKER STAR, follows Violet, and the eventual third book, THE FALLEN STAR, will be about Beth. 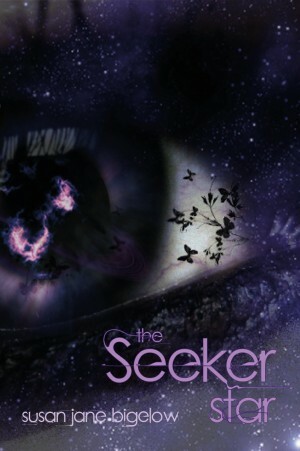 THE SEEKER STAR is out on Tuesday, November 18th! Check back here then to learn about bundles, giveaways, and more!